Minutes after President Trump announced his decision to abandon the Paris Climate Agreement, Virginia elected officials began to share their disapproval. Trump said his decision to withdraw from the pact, signed by 195 nations, would help preserve American jobs and avoid placing heavy burdens on the country’s taxpayers. 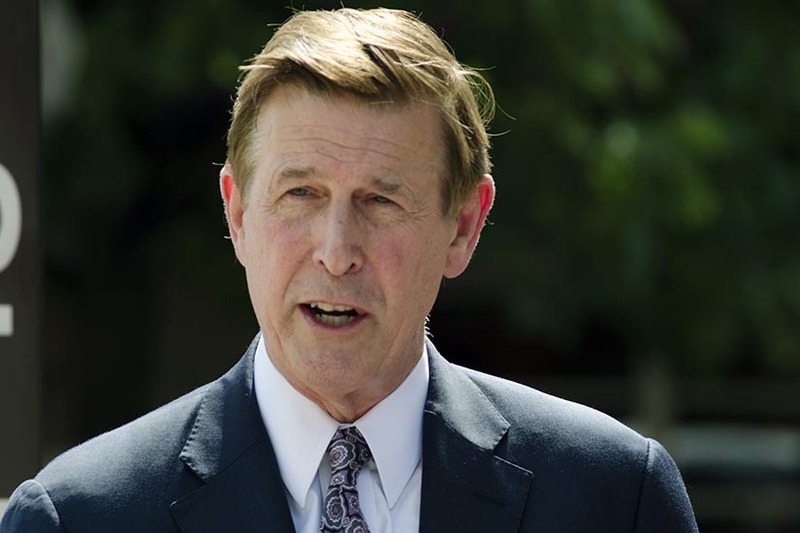 Rep. Don Beyer (D), who represents Arlington in the House of Representatives, highlighted how Trump’s decision to withdraw will negatively impact the United States’ foreign relationships. Virginia Gov. Terry McAuliffe (D) released a statement condemning the president’s decision. He wrote that despite the withdrawal, Virginia will continue to do its part to fight climate change. McAuliffe also detailed how his own actions have differed from Trump’s. He wrote how in early May, he signed an order to reduce carbon emissions in the Commonwealth. U.S. Sen. Tim Kaine (D-Va.) said the president’s choice goes against the country’s history of scientific innovation. “The President seems to think that the U.S. commitment to cut about [one quarter] of our carbon pollution by 2025 is beyond the grasp of the country that won World War II and put men on the moon,” Kaine said in a statement. U.S. Sen. Mark Warner (D-Va.) called the president’s announcement a “rejection of settled science.” He also highlighted how this historical decision will impact Virginians in the future. “It poses a direct threat to Virginia’s environment, economy and way of life,” Warner wrote in a statement. 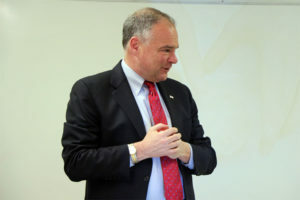 But Kaine managed a few optimistic words amid the swirl of pessimism and condemnation. “I am confident that our nation’s optimistic, can-do spirit will eventually prevail over this short-sighted dereliction of America’s leadership role,” he said.